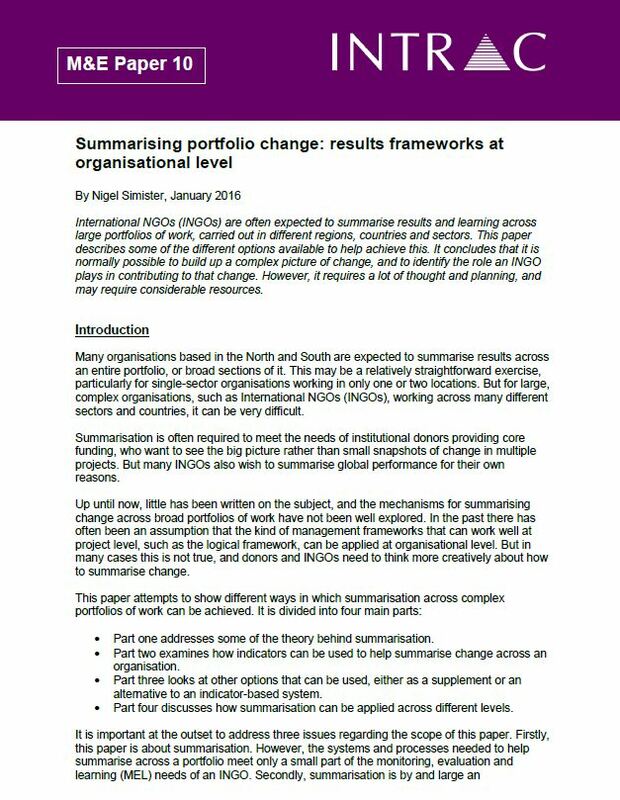 Over recent years, many international development agencies have been expected to summarise results and learning across large portfolios of work, carried out in different regions, countries and sectors. This paper describes some of the different methods and options available to help achieve this. It concludes that it is normally possible to build up a complex picture of change, and to identify the role an international agency plays in contributing to that change. However, it requires a lot of thought and planning, and may require considerable resources. The paper is aimed at monitoring and evaluation managers and staff working in international NGOs, donor organisations, other international development agencies and/or on large programmes where information has to be summarised across many different interventions.